When putting together this list, we weren’t necessarily looking for the biggest or the best-known cultural websites in Scotland. We were looking for unique and interesting ideas, cleverly realised and lovingly maintained on the web. This might mean that your favourite bookmark hasn’t placed: a number of the sites in our longlist were eliminated because, although very good, they were basically just a Scottish version of the sort of site you can find anywhere. Similarly, we knocked out some great original ideas where the content was patchy or infrequently updated. What’s been interesting is that most of these sites, from fashion blogs to online magazines, new music hubs to foodie havens, aren’t professional concerns. The most passionate, well-written and original content seems increasingly to come from interested amateurs, or at least people who started out that way. Here’s to you, digiScots. On a rainy Sunday in 2006, Edinburgh photographer and designer Joe Tree decided it might be fun to set up a website posting a single photo every day. He started out with what he calls a ‘blurry, unspectacular shot’: just some leaves he’d seen on the way to work. He began to let friends know what he was up to, and almost accidentally built up a following: fans of his pictures would check in to the site everyday, nag him if he was late uploading the day’s photo, and, increasingly, ask if they too could join in. By June that year, the first version of Blipfoto was released onto the net. Five years on, it can boast of users in 160 countries worldwide, and is currently averaging 13 million page views a week. The millionth picture was uploaded this April, and Tree expects to have reached two million by the end of the year. So what exactly is it about this little site that’s engaged so many people? On signing up, Blipfoto users agree to abide by the two rules underpinning the site: you only get to share one picture a day, and the picture has to be taken on that day. It’s partly this, Tree explains, that sets the site apart from Flickr or Facebook. Blipfoto now collaborate with, among others, Channel 4 and The Guardian, and receive enough funding to support a small full-time staff, so the future could be even bigger. But don’t expect them to start collecting your data or hosting advertising any time soon. The Limmy website is pretty... interesting! have you tried the keyboard! make sure the sound is out if you're at work - a few expletives! How can you have missed Kenneth Roy's excellent Scottish Review (http://www.scottishreview.net/) a must-read online journal, published three times a week and full of excellent articles, comment pieces, and some significant investigative journalism. 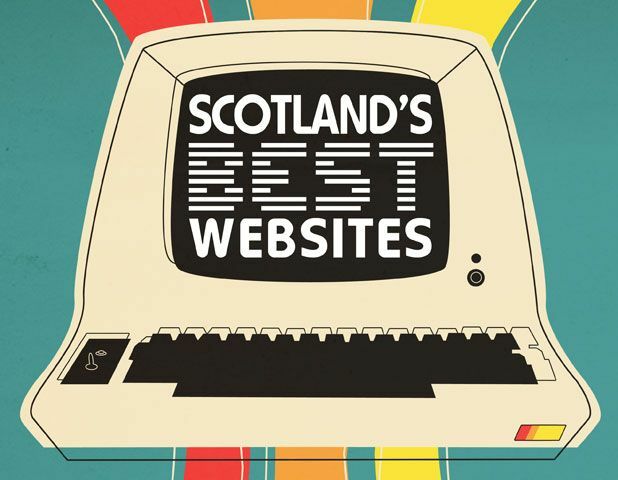 This is a great list of some of the best websites of Glasgow. Definitely worth a read I must say ~ Brian Mcculloch Glasgow.